My first job after graduating in psychology was to work at BT Laboratories in Ipswich. For a bit of a nerd like me, this was geek heaven, especially having futurologist Peter Cochrane, Head of Research as your Director. As well as our day jobs as design thinkers, developing products and services based around human needs and not just technical capabilities, we had skunk time, free time each week to be creative and dream new dreams. All sorts of prototypes were built in our part of the labs, and we played a lot with virtual reality machines and wearable computers and mobile concepts. 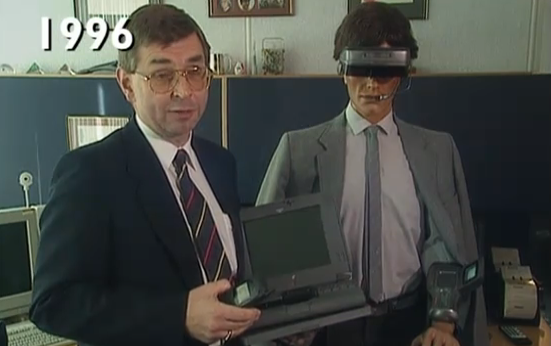 As you can see from this screen shot from a documentary made in 1996, the wearable technology was bulky to say the least. 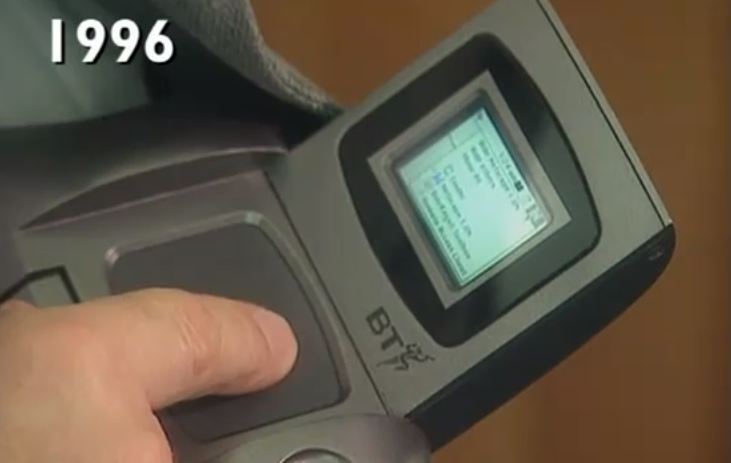 In reality, these “mobile” concepts had hidden cables running up our clothes, connecting the screens to hidden Macs running the software. But these were great times and a great working environment. 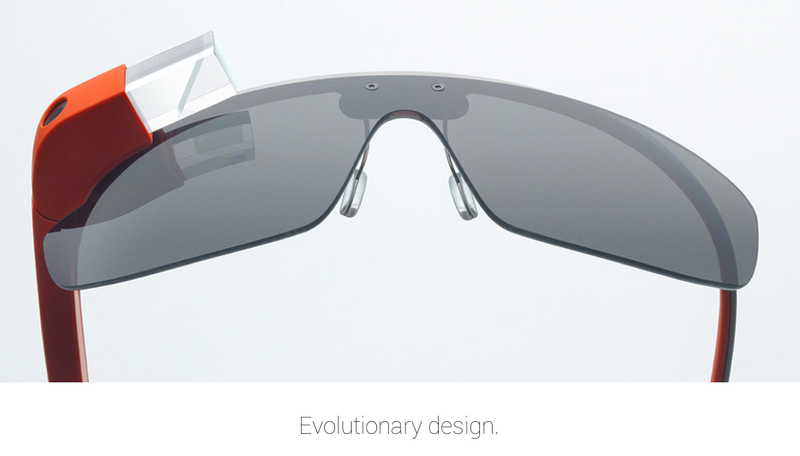 So of course it has been interesting to follow the launch of Google Glass. What we envisioned in the early 90s has now become a viable commercial reality. A review of Google Glass caught my eye this week, as it did many other followers of all that is high tech and new. It was technology writer Robert Scoble’s review of Google Glass, being one of the first people to have access. After one week’s use, he wrote that he barely went one minute without them, and that he could no longer see himself living his life in future without this kind of device. What is a “commerce world”? I have no idea, but this allows me to enter into a discussion about perception, reality, and mental models. I finished my degree in psychology with a deep unease which I could not accurately pinpoint. I had studied the human mind for three years, but felt I knew little about the human condition. People would say to me “Simon, you studied psychology. You will know all about…” and then discuss what ever interesting aspect was currently in the news, or of interest to them. In truth, the mind and brain are still a mystery to us. Yes in the last twenty years brain scanning technology has progressed rapidly as with all technology, but the use of brain images to accurately comprehend cognition and consciousness is rife with confusion and a total lack of consensus as to their interpretation. What was missing for me was phenomenology and hermeneutics, and a immersion into the worlds of the great European philosophers such as Martin Heidegger, Hans-Georg Gadamer and Maurice Merleau-Ponty. Their conception of reality was opened up to me via Henri Bortoft, my teacher for the first week of my masters degree in Holistic Science at Schumacher College. Henri turns you world upside down in ways in which you could not possibly imagine, and his dynamic way of seeing requires far more than just a reading of his books, far more even than contemplation on a degree course. I have spent these last few years since graduation exploring in every way I can phenomenology and hermeneutics, and gradually I realised that here was what I could sense but not know was missing my my psychology degree. This last phrase is critical – the world is what we perceive. 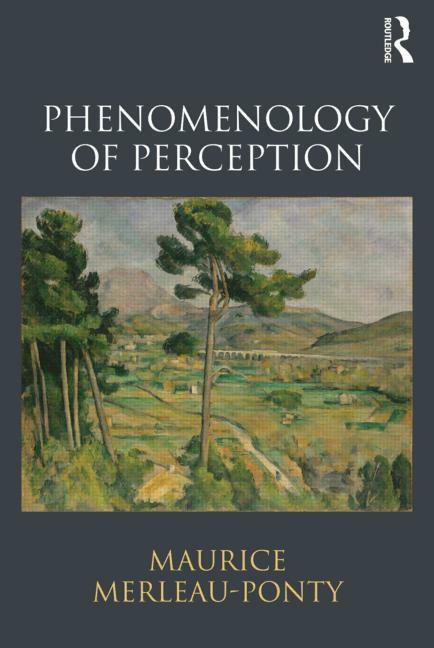 For philosophers of perception such as Merleau-Ponty (and remember, his philosophy was informed by the latest scientific insights from psychology and neurobiology) it is not a case of there being an objective world out there, replete with meaning, that we just have to physically perceive. The “world” we experience is a mixture of what is out there and all the meaning and memories and significance that we attribute to it. Hence people literally do live in different realities. Humility is required to really break out of our existing realities, I feel a dramatic instance of this is told by Alan Moore, author of No Straight Lines, a book which alerts us to the very different non-linear reality we now are living in. 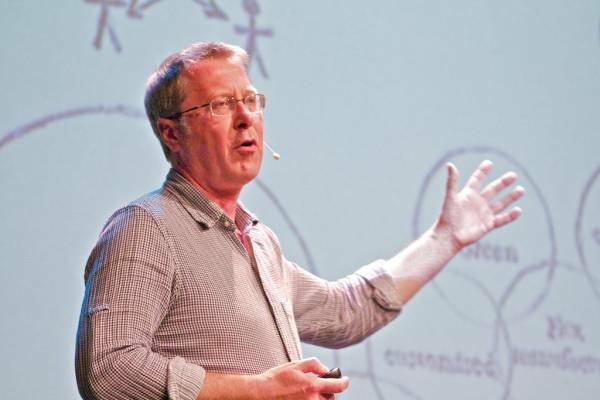 Alan runs some very inspirational workshops he calls Transformation Laboratories, and he often asks students to participate in a deceptively simple 10 minute exercise. Alan splits the class into groups of three, and gave each of them a 10 kg lump of clay. 10 kg is both large and heavy. In the time available students are not allowed to speak, and they are required to hold the clay at all times. Their task is to mould it into the most beautiful thing they could. When the time is up it can be quite remarkable what great artwork the groups produce. But this is not always the case, and Alan notes that it is sometimes business leaders who experience the greatest challenge. Sometimes one person takes on a dominant role, literally stamping their mark on the clay, flattening it or pounding it as opposed to allowing the creativity of the group as a whole to flourish. When participants in this type of high level role suddenly encounter for the first time the impact of their actions on others, and on a piece of work which is so concretely visible, the impact on themselves can be profound, astounding, quite emotional and long-lasting. 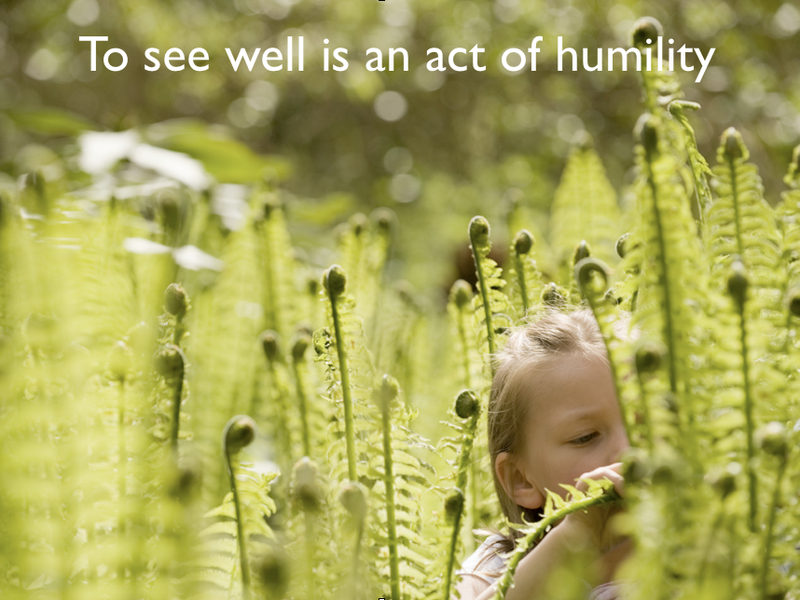 As I said before, to see well is an act of humility. Google Glass may well add to our visual field, but profound perception is much more than what enters our visual field. Sometimes we need experiences far beyond that which we experience every day, and it only through the skilled facilitation of someone as creative and insightful as Alan that we will really be able to change the way we see. Yes new technology is great, but what will lead to us creating fairer, happier and a more humane society is a process of transition, inner transition. Alan has created a wonderful structured experience for this transition in his Transformation Labs. These are incredibly intense two and a half day experiences where he holds the space to enable a the emergence of deep and profound insights in people who are looking for really innovative solutions for their organisations. 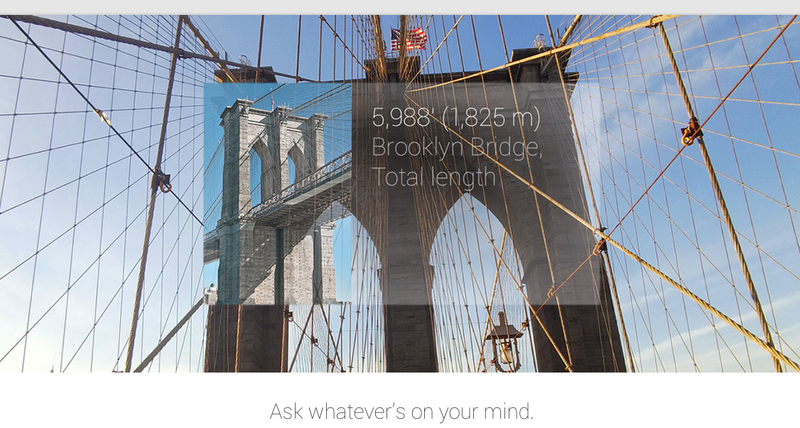 It will be interesting to see just how much demand and use their is for Google Glass. But we must never forget that perception, and an augmented perception of reality which is the dynamic way of seeing, it comes from within, and no amount of additional technology will help us truly see in new ways. It is a learning journey, and if we can find that humility inside ourselves, whole new worlds will literally, open up to us in ways we could never have imagined. This is a fascinating essay on consciousness and reflects my own experiences and observations as a student of philosophy. Thank you. Keep up these great posts Simon!